This winter is whiter than white with an abundance of fresh powder. It’s been a long time since this much snow hit Austria and South Tyrol! Now’s the time for skiing, tobogganing, winter hiking, ski touring, ice skating, merrymaking… and unalloyed wellness indulgence. Welcome to skiing holidays and spa delights in stunning Alpine destinations – such as these four hideaways in the snowy mountains of South Tyrol, Tyrol and Salzburg. Immerse yourself in the Acqua Minera. Find invigoration in the grotto realm. Follow the trail of mining history… The Plunhof’s destination spa in the idyllic South Tyrolean hamlet of Ridnaun was inspired by the area’s centuries-old mining tradition. 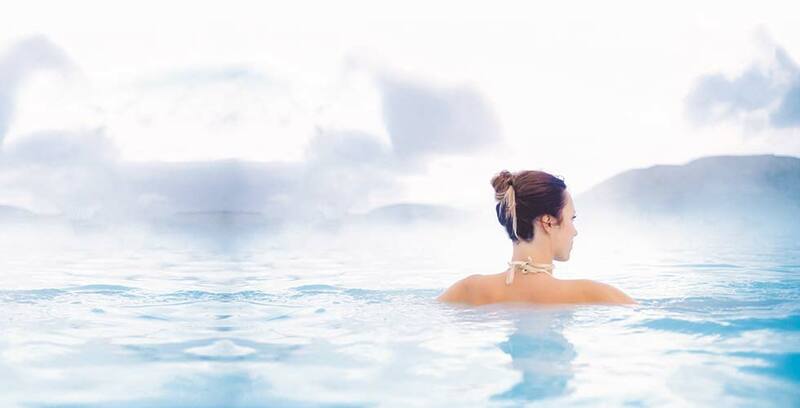 The concept is mirrored in the spa’s stylish, feel-good architecture that guests enjoy in the saltwater whirlpool, saunas, steam room, infrared cabin, shower temple and amazing relaxation areas where they can go to ground in a ‘world of mining’. With the recently opened Acqua Minera poolscape, the spa now offers 4,000sqm of ‘wellness above and below the surface’. This concept – unrivalled in Europe – earned Spa Minera a nomination for the GALA SPA AWARDS 2016 and the Best of Italy award in the 2017 HEALTH & SPA AWARDS. Snow-covered peaks are reflected in pristine mountain lakes. 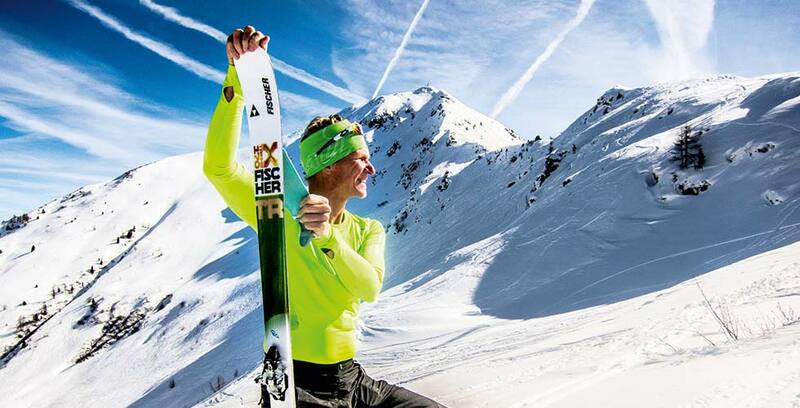 A place where winter sports are part of life. 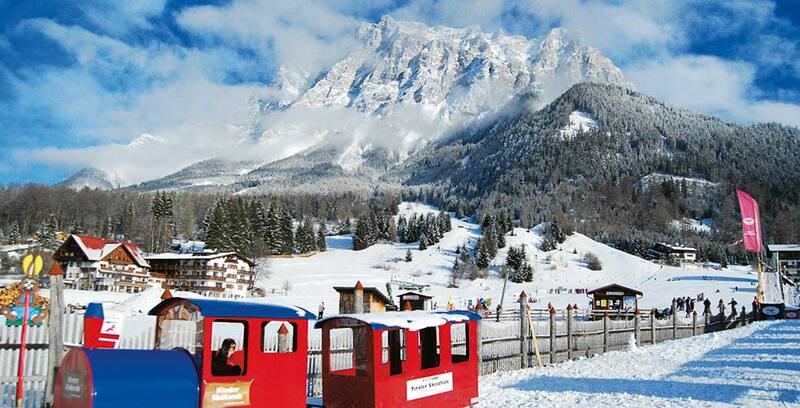 Skiers are spoiled for choice with three ski areas: Ratschings-Jaufen, Rosskopf Montecavallo and Ladurns. As if that wasn’t enough, you can always add a few downhill runs by taking the Ridnaun ski lift from the 4-star superior hideaway’s doorstep. As well as offering Alpine skiers plenty of excitement, this area is great for winter hikers, snowshoe explorers, torchlight hikers, cross-country skiers, ski tourers, biathletes, Nordic walkers, nature lovers, aqua gymnastic fans, cookery fanatics (lessons!) and wine lovers (wine tastings and wine seminars!). Guests are looked after with the utmost care for their wellbeing by the eight Volgger siblings and mum Paula. Gently nestling in a dreamy, snow-covered valley at the foot of the majestic Zugspitze: the Tirolerhof in Ehrwald is a 4-star wellness and family holiday paradise. 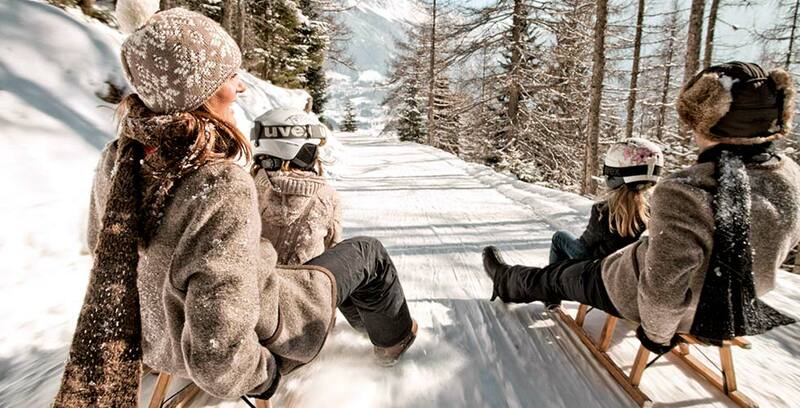 A place where authentic Tyrolean traditions meet today’s Zeitgeist; where nature and family fun go together. 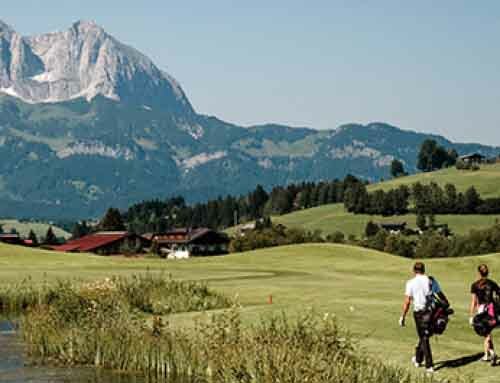 Surrounded by the magnificent peaks of the Zugspitz Arena, young and old enjoy lashings of Tyrolean hospitality, fine cuisine (including a children’s buffet and Kids’ Stammtisch – where children enjoy meals together), Alpine spa delights (including a family sauna and spa tasters for children) and unlimited winter fun. Enjoy 139km of pistes at up to 3,000m in the seven ski areas of the Tyrolean Zugspitz Arena as well as a ski-in, ski-out experience: the Tirolerhof’s breakfast buffet is only 90m from the slopes! Just around the corner, the Confetti Alm with its ski school, own practice area and childcare facilities is perfect for the little ones (and their parents). Stop for refreshments in any of the 47 huts and mountain restaurants in the area, ranging from charmingly rustic to fine and elegant. Away from the piste, the Tirolerhof winter experience is no less rich in possibilities. From cross-country skiing (110km of trails), ski tours, tobogganing, hiking in the snow, ice skating, curling, night tobogganing night skiing and sleigh rides to guided torchlight, lantern and llama walks, you’ll find plenty of snowy winter fun all around Germany’s highest mountain. The first dedicated Hildegard von Bingen hotel is located in the heart of the Ski Juwel Alpbachtal Wildschönau ski resort and its theatre of snow-covered mountains. At the Pirchner Hof**** in Reith, the legendary 12th century healer, mystic and convent founder’s wisdom lives on. 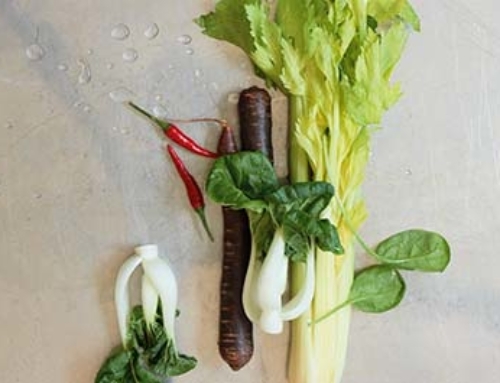 Nature, food, the seasons, the elements, exercise and relaxation – everything is in harmony with Hildegard’s naturopathic philosophy. 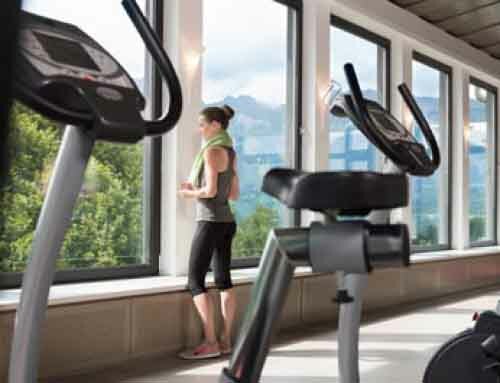 Whether it’s in the delicious and wholesome cuisine, the SPA facilities with its breathtaking outdoor and indoor pools, saunas, massages and natural beauty treatments or during the exercise and regeneration programme’s wide range of activities – guests enjoy the Pirchner Hof’s healthy, sustainable and joyful way of life. Hotel manager Christa Peer is an expert in all things Hildegard and never happier than when sharing her knowledge with her guests. Experience winter in all its glory with 109km of pistes, snowy treetops, snowmen, tobogganing, igloos and rustic mountain huts. 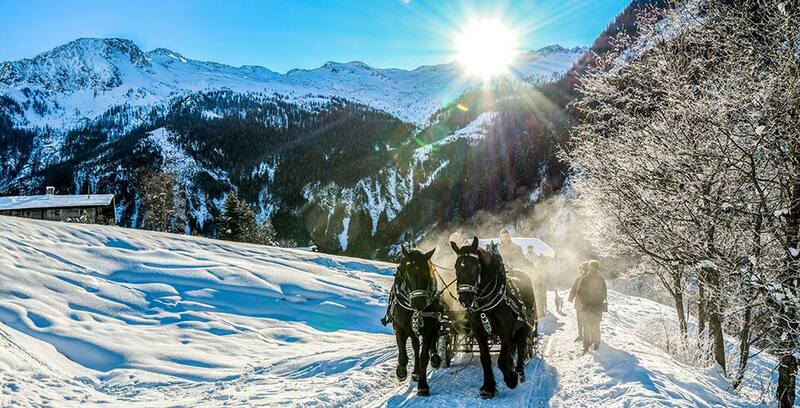 Tranquillity is a sure bet in the snowy surroundings of the 4-star Pirchner Hof hotel. Nearby Ski Juwel Alpbachtal Wildschönau is Tyrol’s top family ski area and one of Austria’s most beautiful winter destinations. There is lots of gentle fun to be had in the deep snow with endless ski touring options, perfect cross-country ski runs, eight toboggan runs and guided (snowshoe) hikes. Indoors, Aqua Fit, smovey training, back exercises, foot fitness, ski fitness and Yoga await. 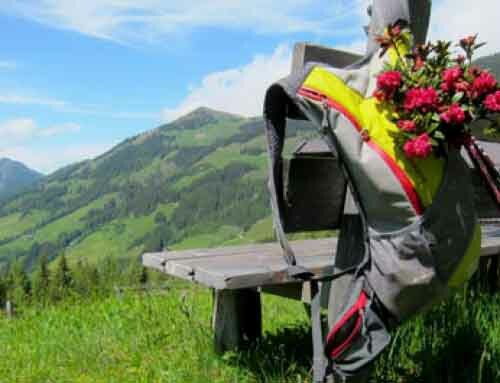 The Hohe Tauern National Park is a 1,800sqkm paradise of ski touring, cross-country skiing and winter hiking. Untouched snow and boundless adventure on the doorstep of the Grossarl Valley and the 760km of pistes of ‘Ski amadé’ – Austria’s largest winter sports area. Grossarl in SalzburgerLand is the home of the 4-star superior Small Luxury Hotels of the World GROSSARLER HOF, a gem for foodies, spa lovers, winter sports fans and devotees of authentic luxury: by the crackling fire, in the multi-award-winning Jagastub’n restaurant, with 300 exquisite wines, or in the blissful surroundings of the Erlenreich Relax & SPA. 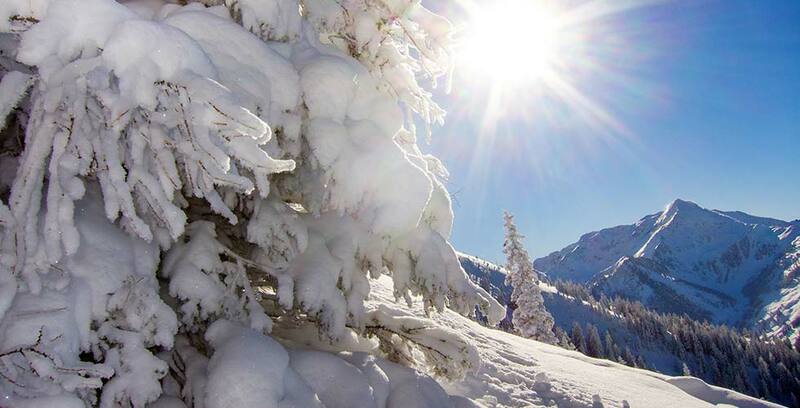 Grossarl is Salzburgerland’s insider skiing tip with guaranteed snow until April. Guests enjoy evening tastings with exceptional winemakers such as Leo Hillinger, or the luxury of an Alpine breakfast on the slopes. Away from the hustle and bustle, the call of the summits invites winter sports enthusiasts to strike out on ski tours and take advantage of the guided tours offered by the BERG-GESUND programme. Cross-country skiing, winter hiking, snowshoeing, tobogganing, ice skating, curling, or sleigh riding… the possibilities at the GROSSARLER HOF are simply breathtaking.